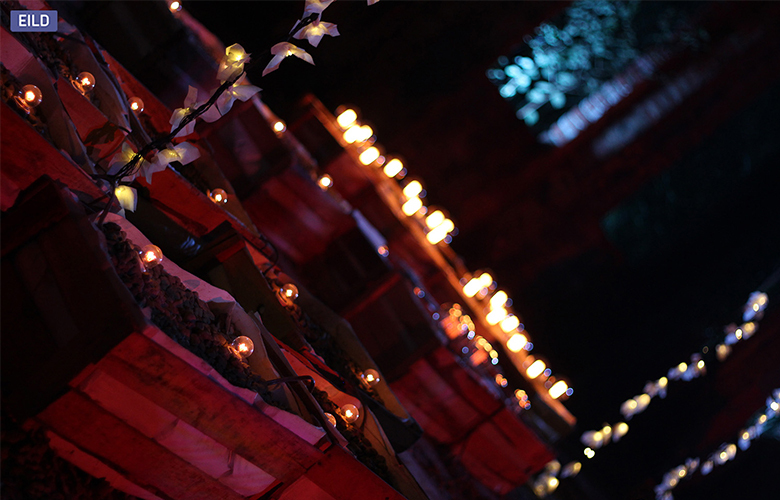 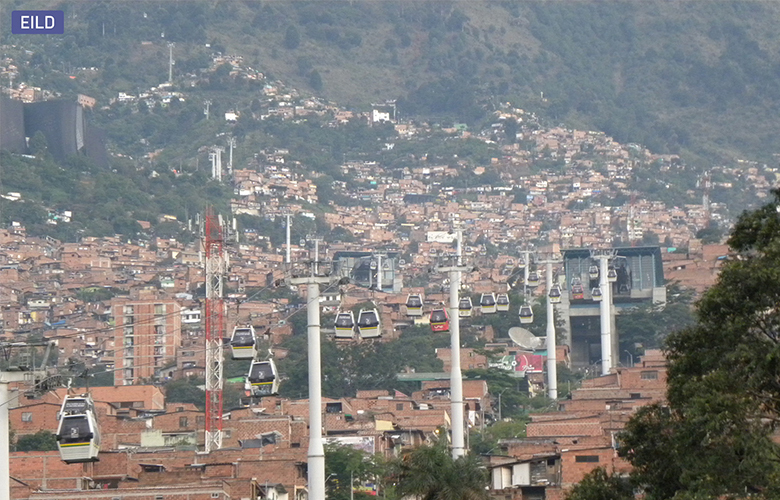 Well know for the Christmas Lights that cross the city along the Aburra river, Medellin was the scenario for the third EILD. 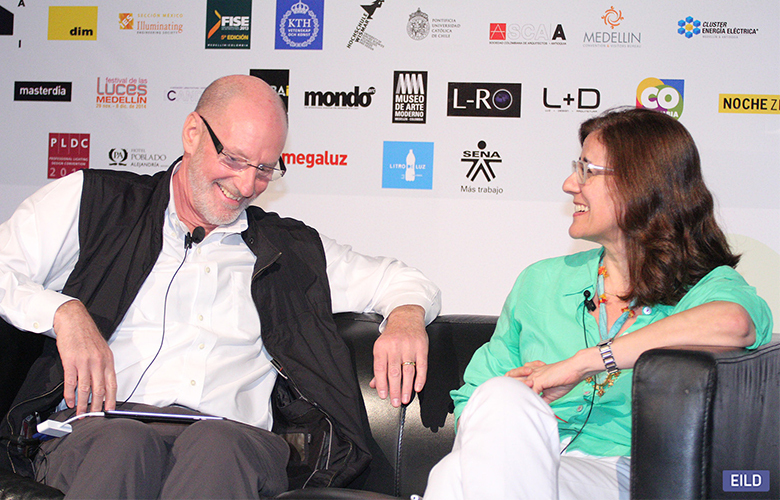 With the theme ‘’Light to everyone, everyday’’, the gathering has created spaces for discussion and reflexion among professionals of different backgrounds related to lighting design. 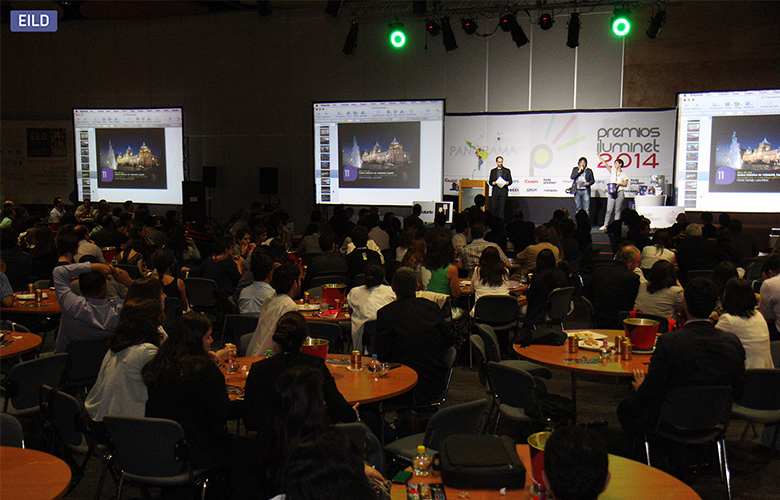 The highlights of this edition were the activities prior to the gathering. 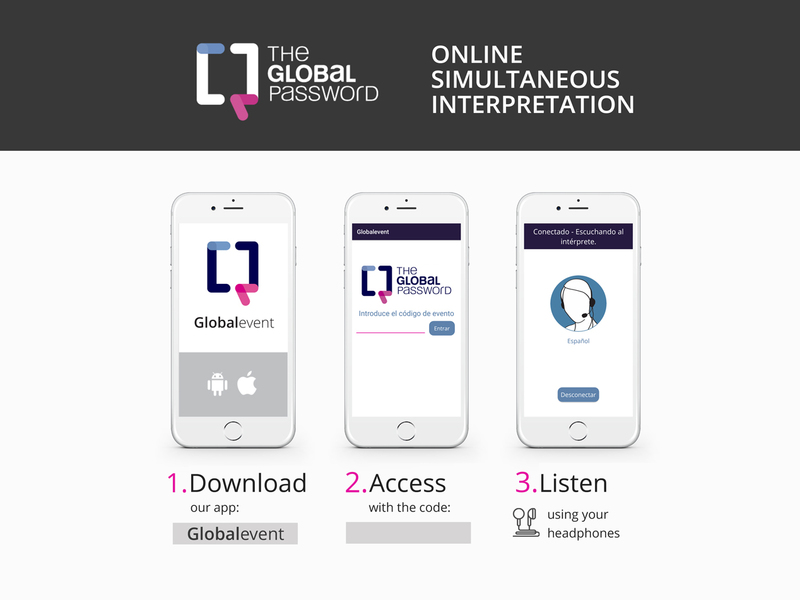 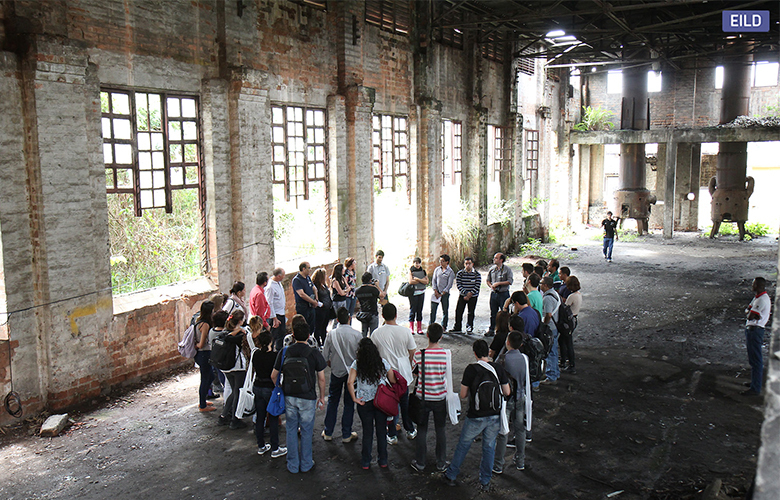 Two workshops took place. 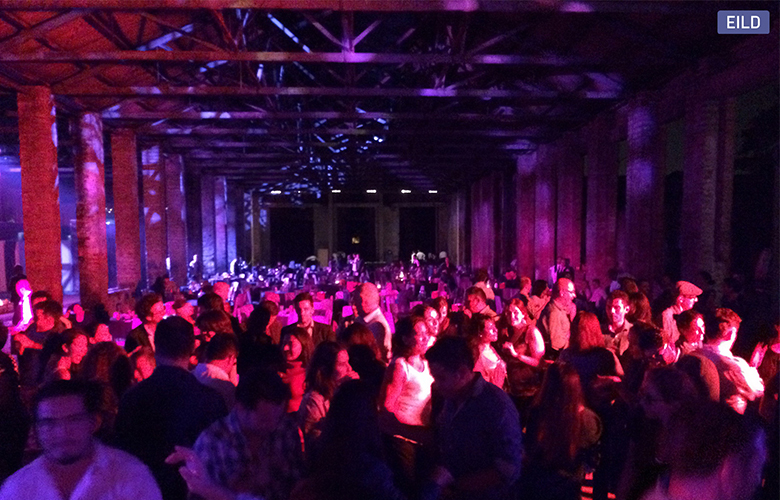 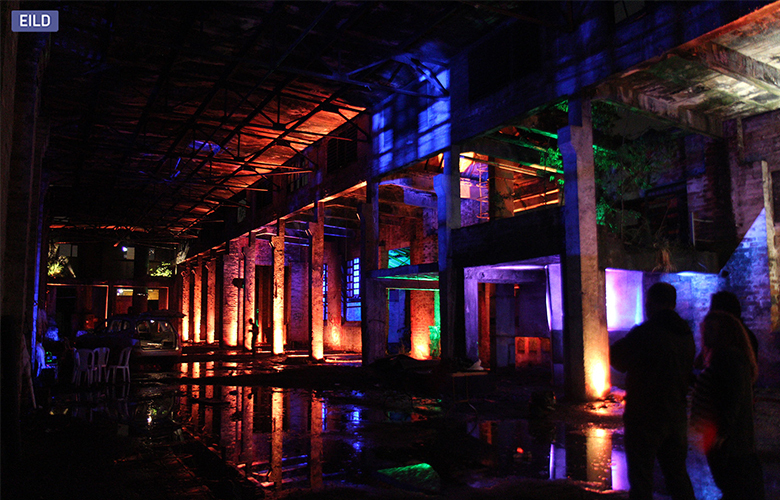 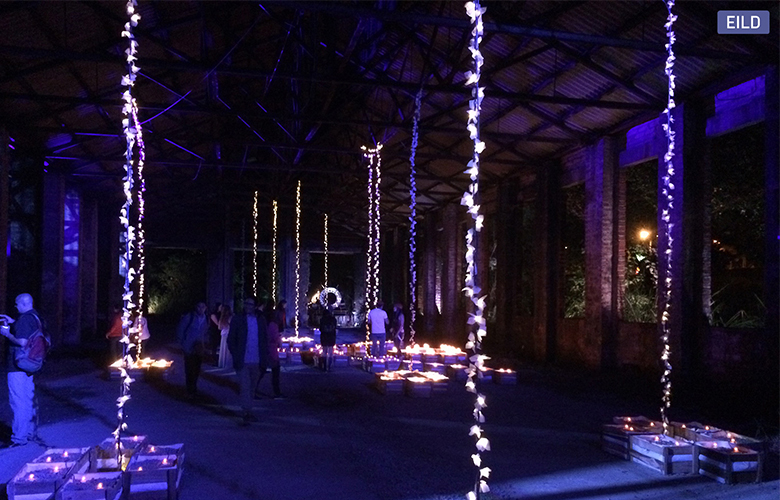 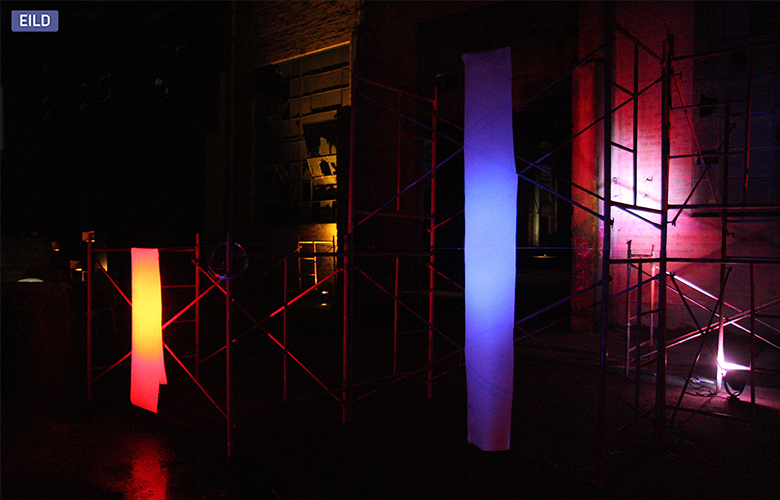 The ‘’Urbanism light’’, had as ultimate goal to develop a sketch of the Lighting Master Plan for the city of Medellin, while the ‘’Light station’’ worked on luminous interventions inside the historical warehouse ¨Taller de Ferrocarriles de Antioquia¨. 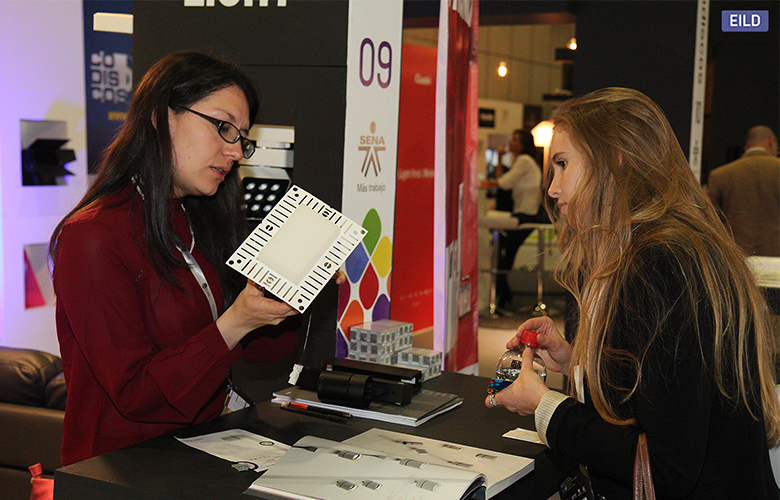 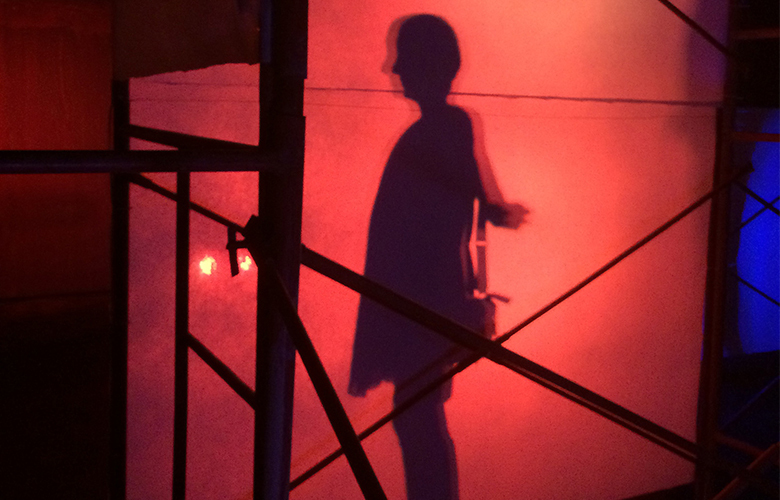 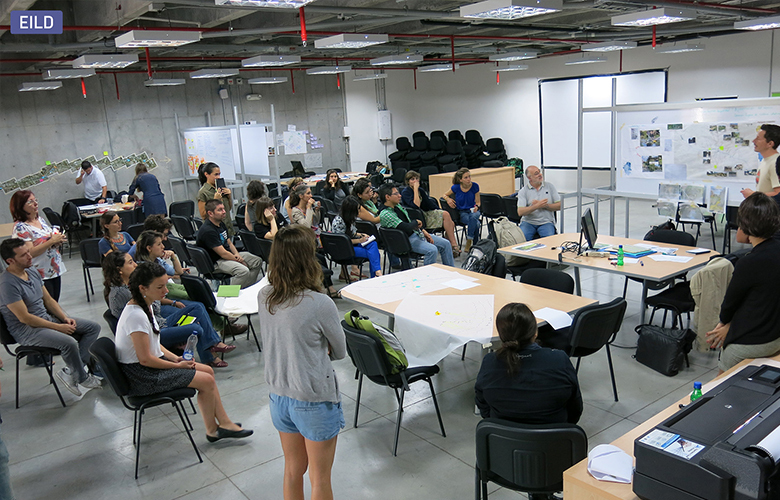 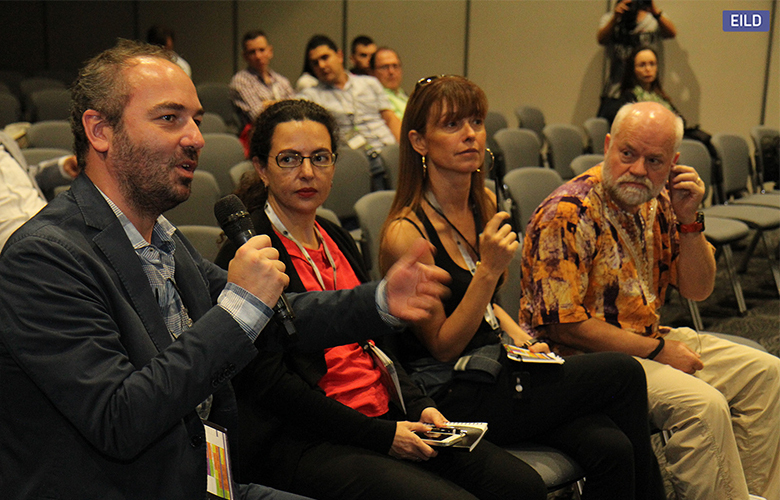 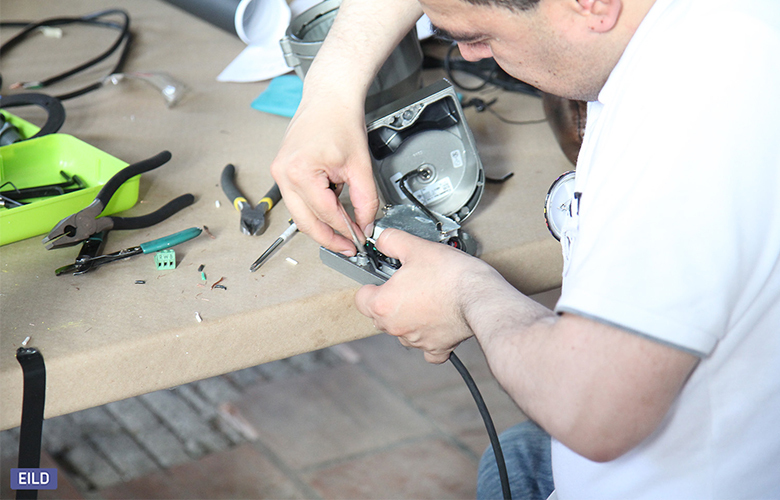 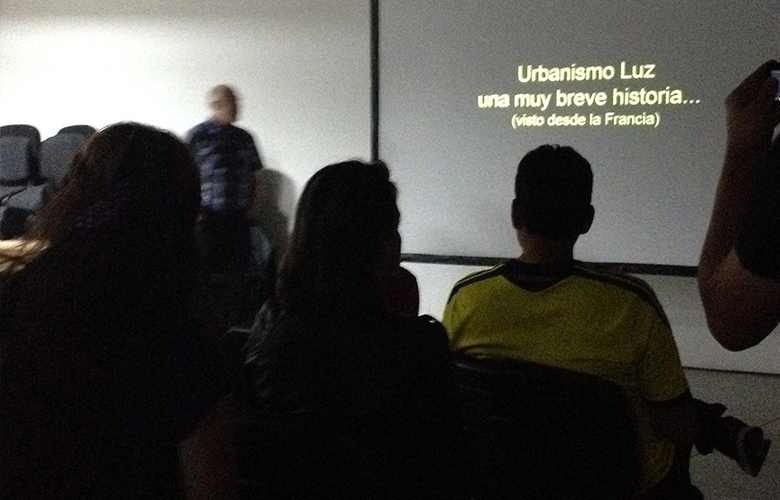 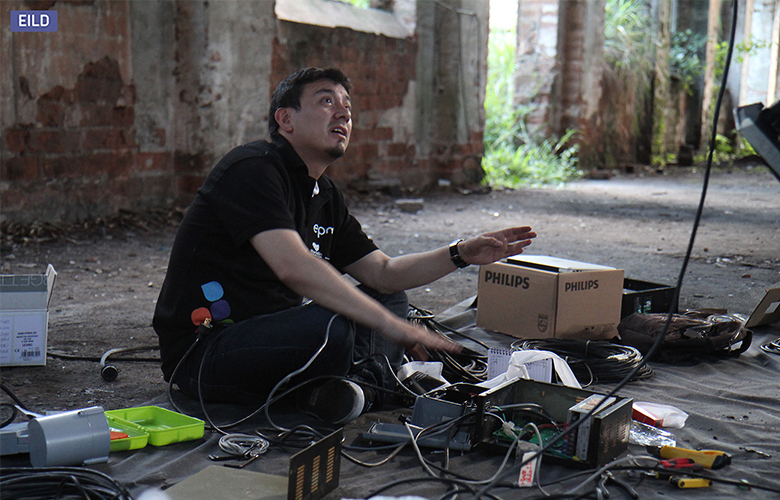 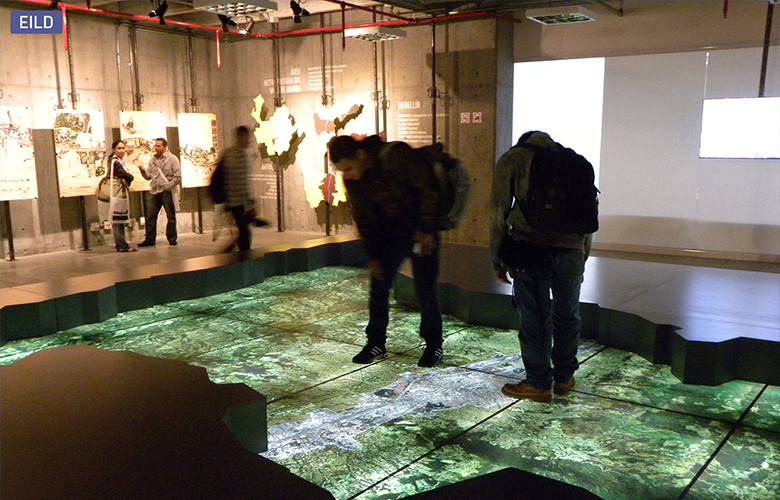 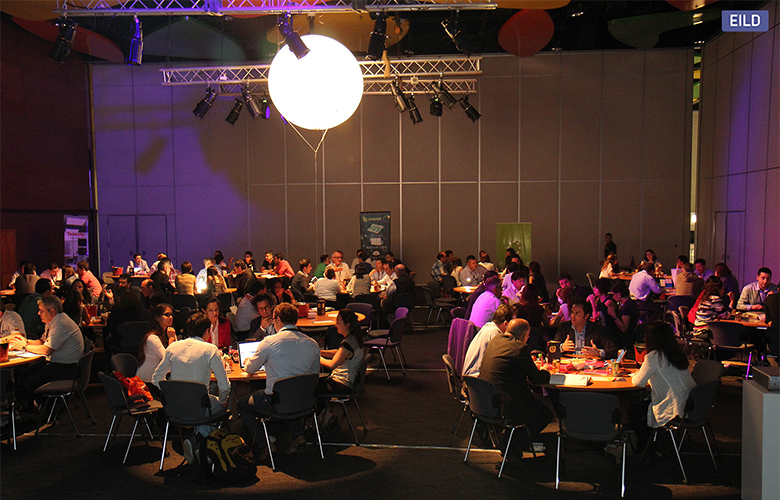 It was the first time that a professional workshop for Lighting Urban Planning was developed. 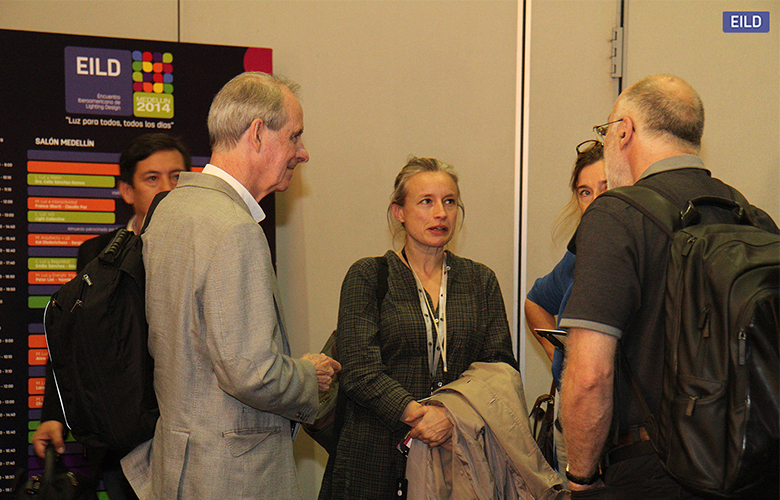 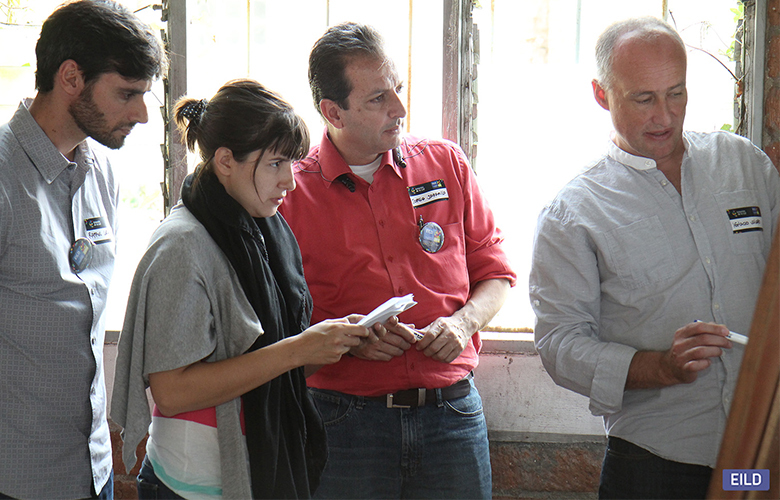 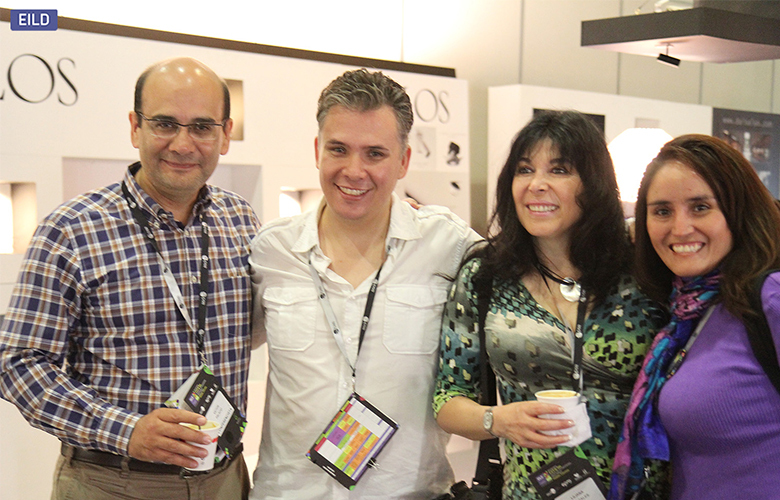 The leader of the activity was the French lighting designer Roger Narboni, with the support of Pascal Chautard (French lighting designer eradicated in Chile, director of Limari Lighting design), Fanny Guérard (lighting urbanist, Concepto office) and the Colombian architect Davis Venegas. 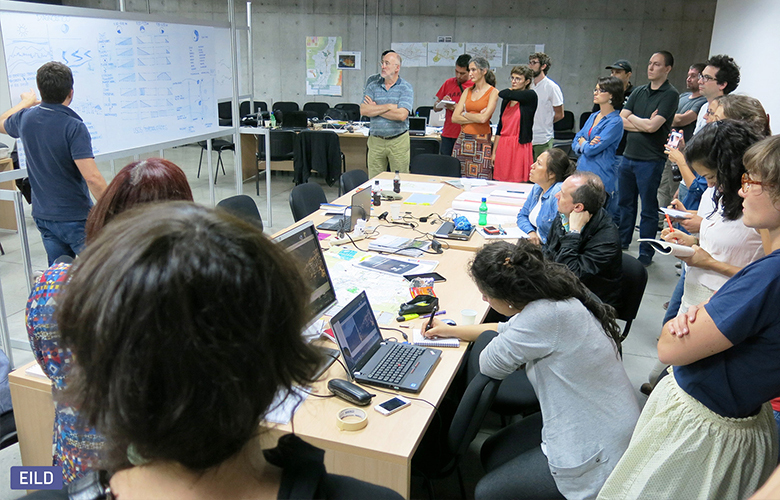 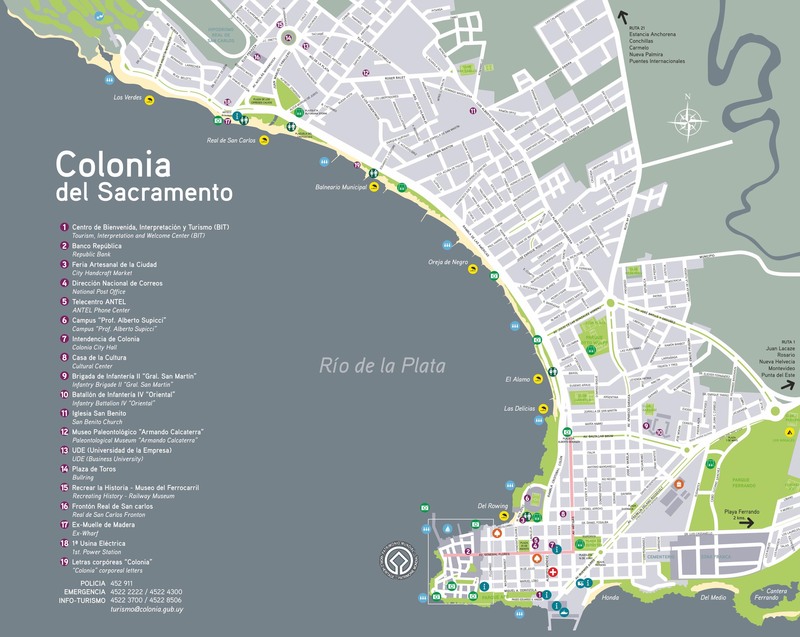 With a group of experts in urban lighting they led seven groups of professionals to reflect about the city. 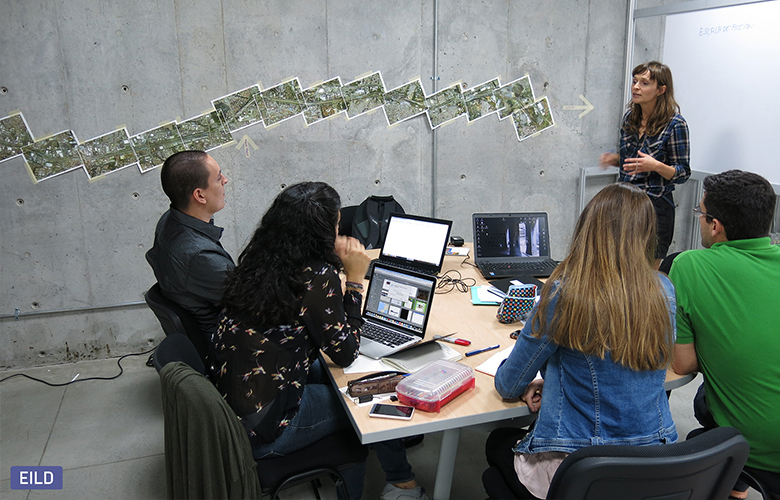 They did researches regarding history, urban development, culture and traditions, intending to work with a methodology for the drawing of night landscape for Medellin’s metropolitan area. 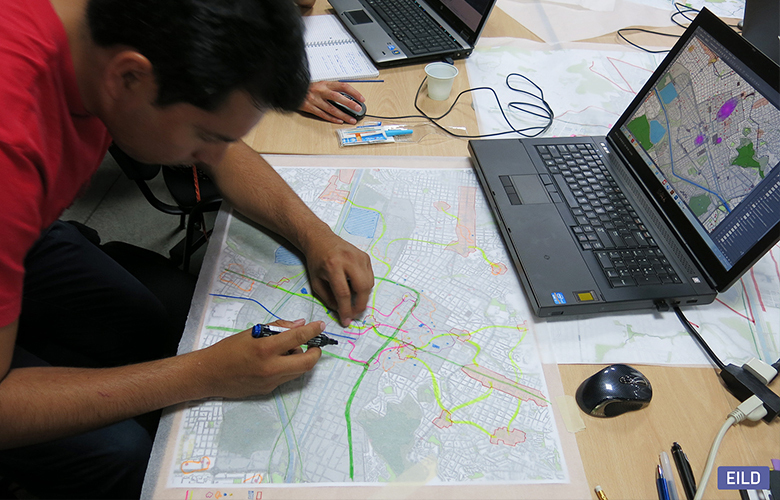 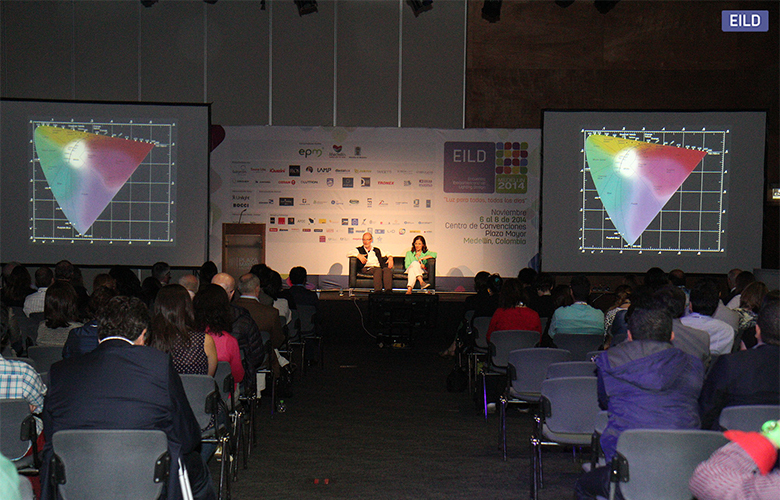 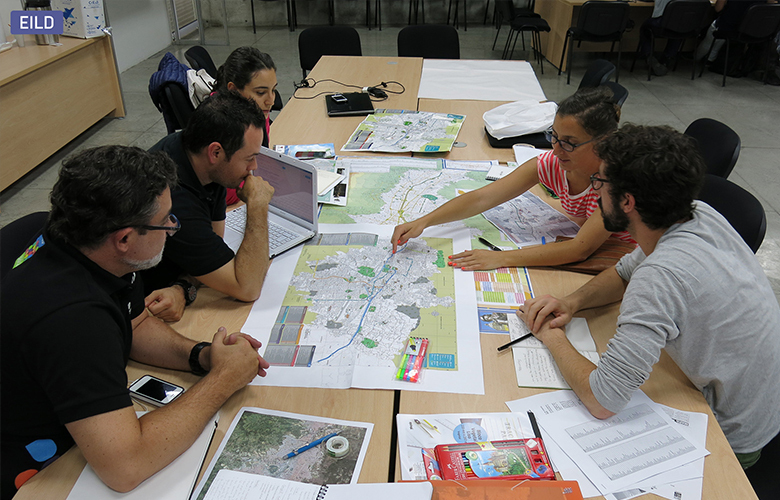 During the six days workshop and attendance of 41 professionals (lighting designers and architects from different countries of Latin America, and participation of professionals of Public Companies of Medellin and from Urban Planning department) , it was developed a sketch of the Lighting Master Plan for the city, which has 2.6 million habitants. 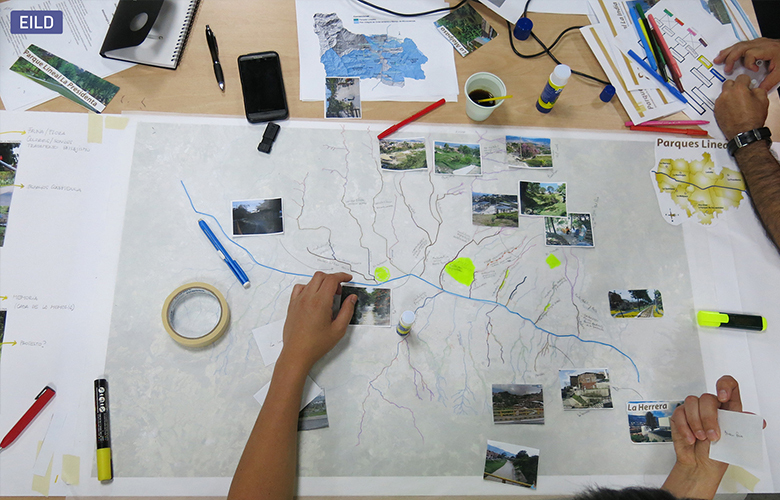 Another challenge was to think about the night image and ‘’dark infrastructure’’ to the year of 2030, with base on prior studies developed by the City: BIO 2030 do Vale de Aburrá and the new POT (Plano de Ordenamento Territorial), approved on the 27th October 2014. 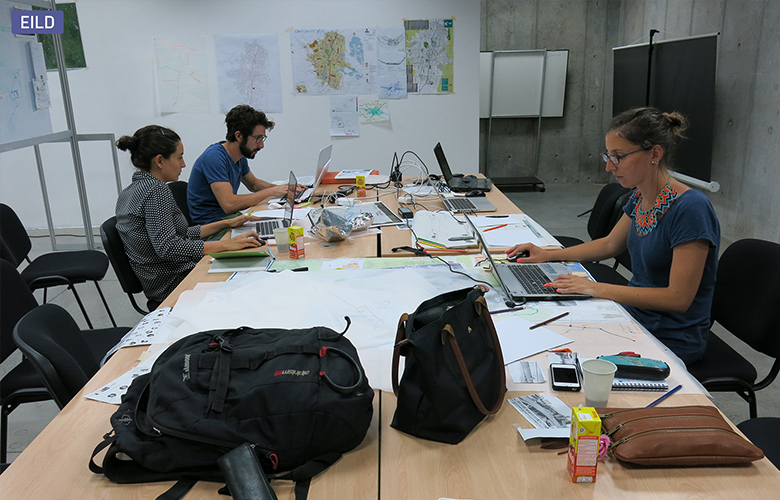 The groups of work were fully directed by French professionals: the lighting designers Fanny Guérard, Virginie Nicolas, Frédérique pai, Loeiza Cabaret, Raphael Girouard (experienced on the development of strategies for urban lighting), the architect & landscaper François David and the philosopher & lighting designer Alice Adrien. 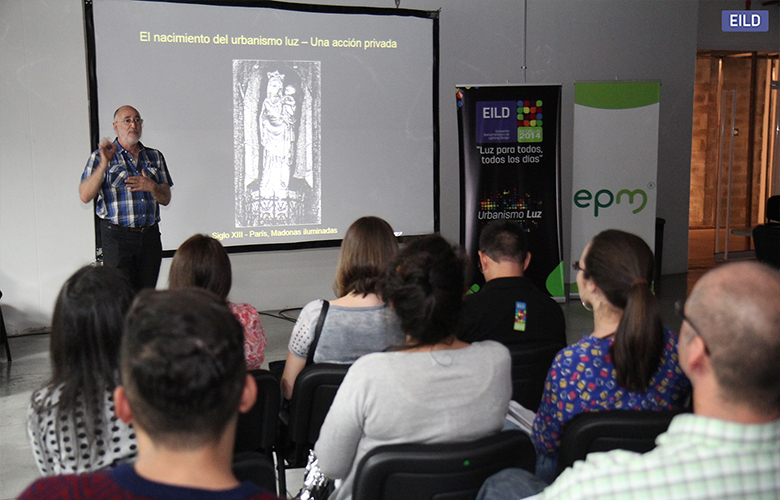 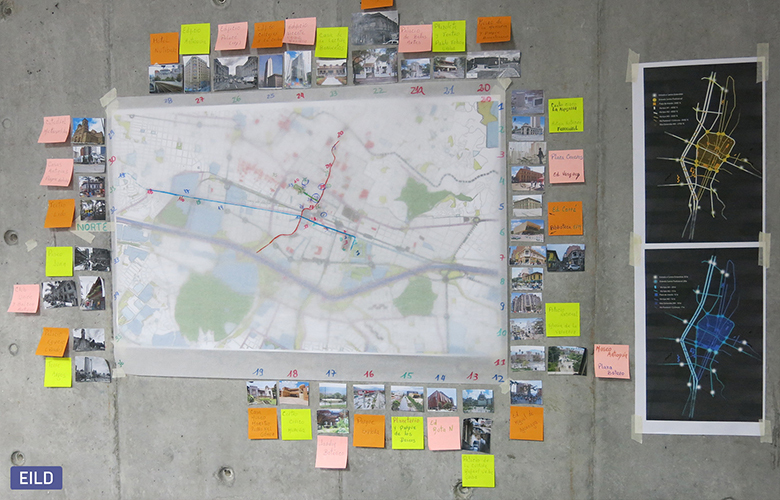 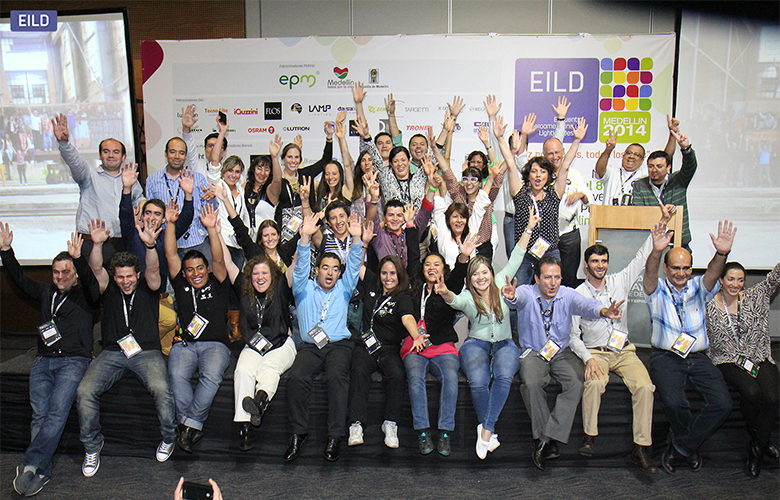 The results of this touching workshop were presented on the 7th of November 2014 to the EILD 2014 assistants, as well to the directors of Master Planning department and Public Lighting of EPM. 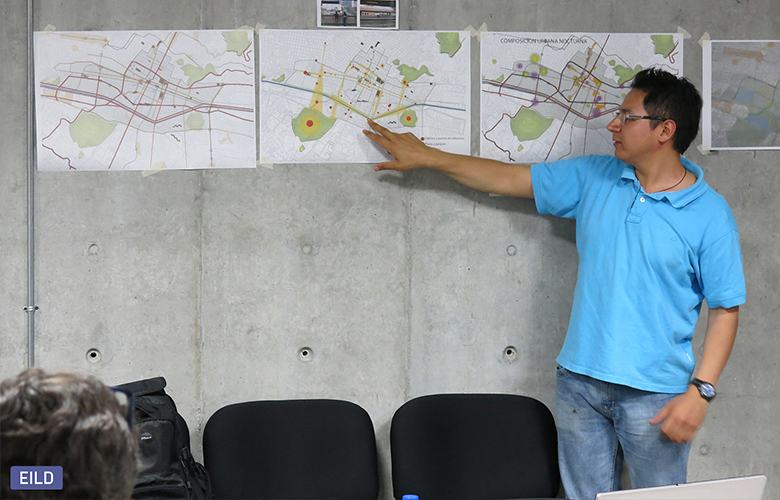 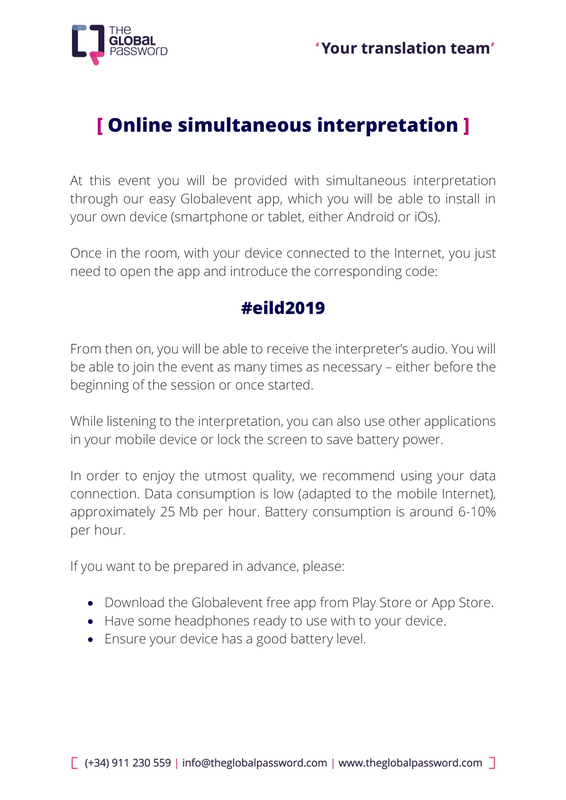 Ignacio Valero (ES) and Tatiana Montoya (CO) were the coordinators of this workshop, and others professionals such as Monica Lobo (BR), Rafael Leao (BR), Claudia Paz (PE), Ana Bustamente (CO), Jorge Jaramillo (CO), Victor Palacio (MX) led a group of 40 people, among them professionals and students coming from Colombia, México, Peru, Ecuador, Argentina and Brazil. 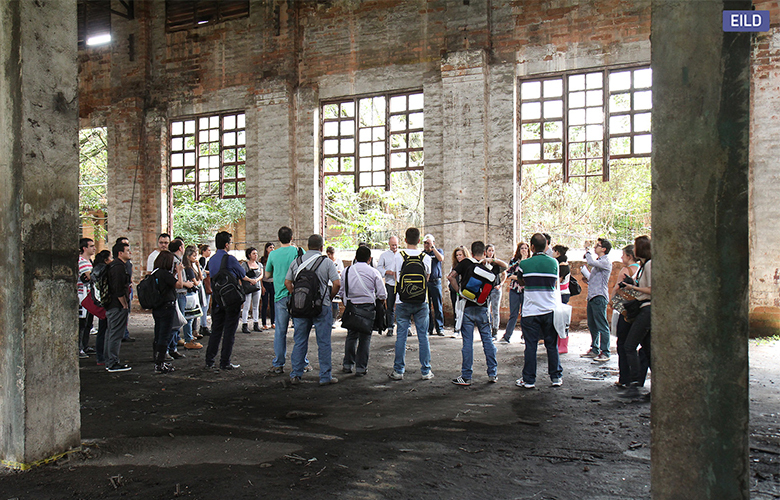 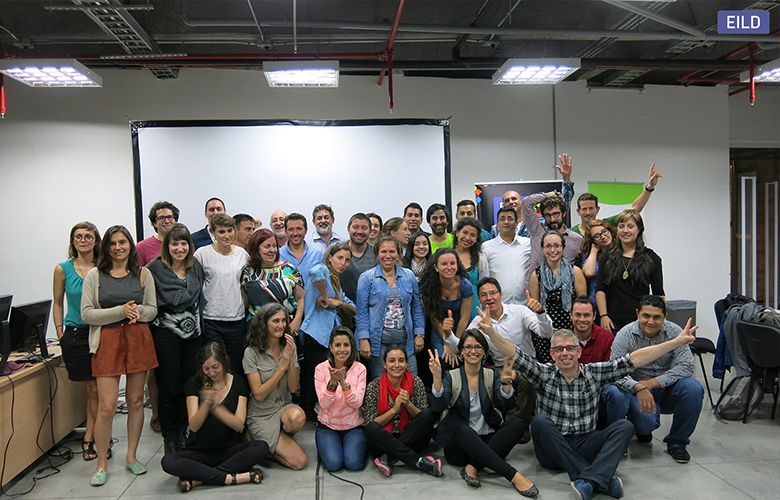 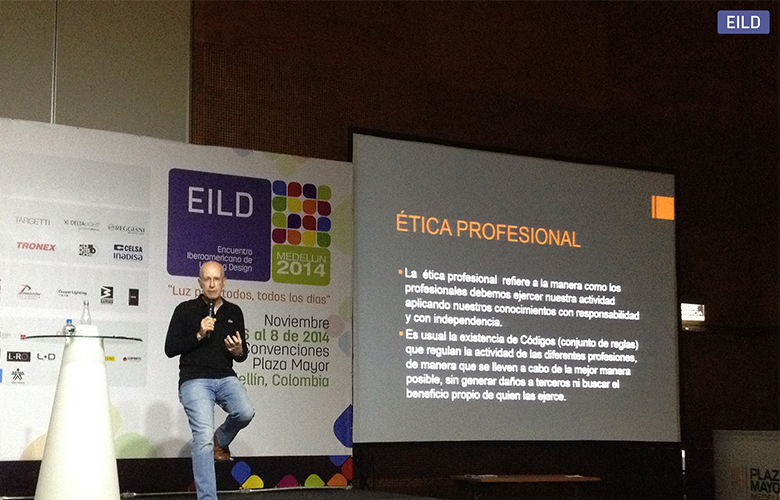 The old ¨Taller de Ferrocarriles de Antioquia¨, was the scenario for this inspiring workshop. 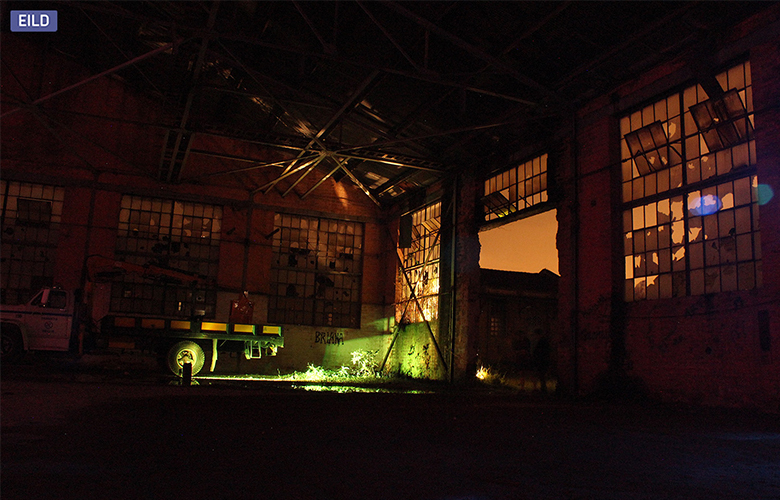 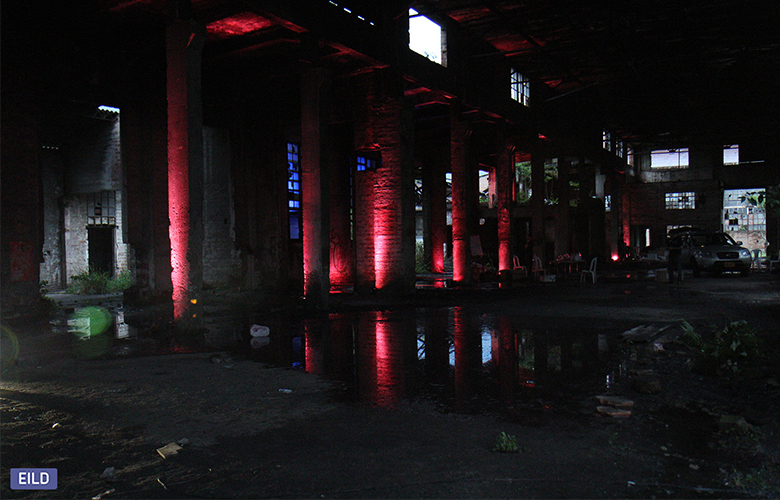 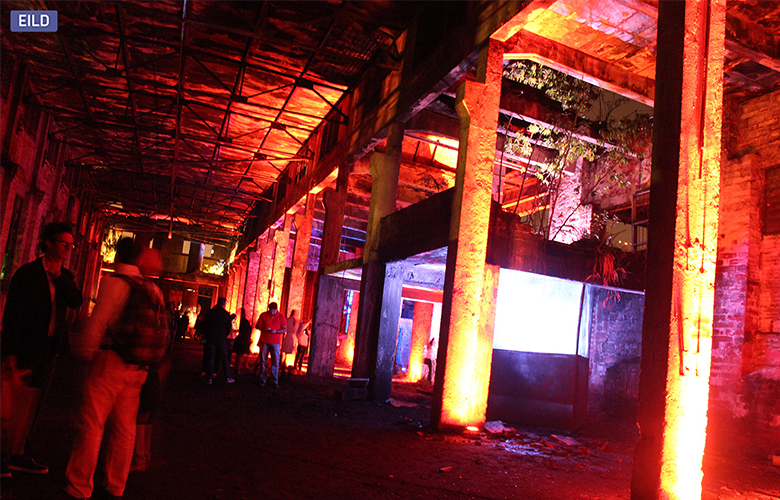 The big abandoned warehouses that by themselves already communicate emotions, got a unique drama after the lighting interventions and revelled spaces that at first sight did not exist. 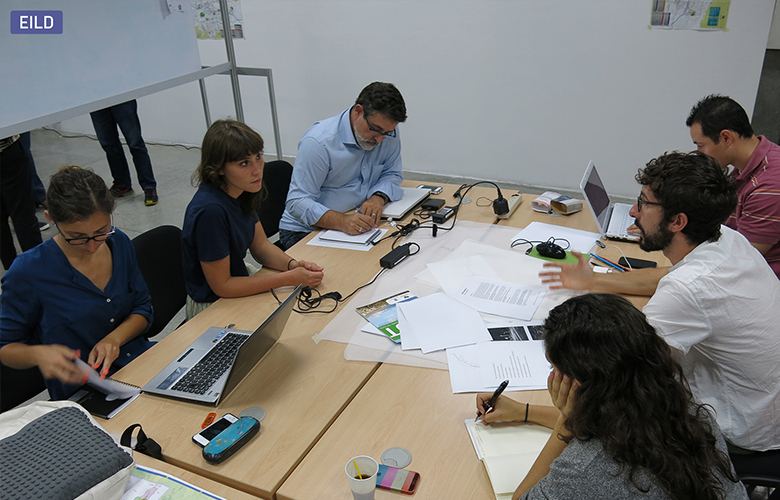 This group had four days to get to know the space, develop concepts, to do mock ups, refine ideas and implement the project. 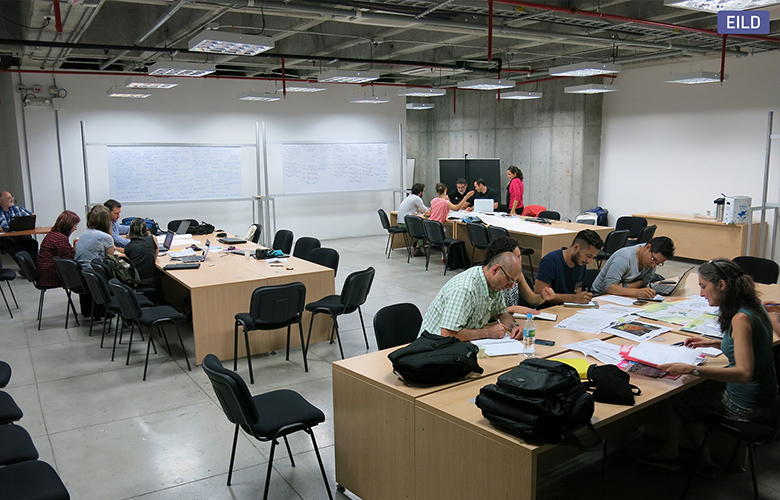 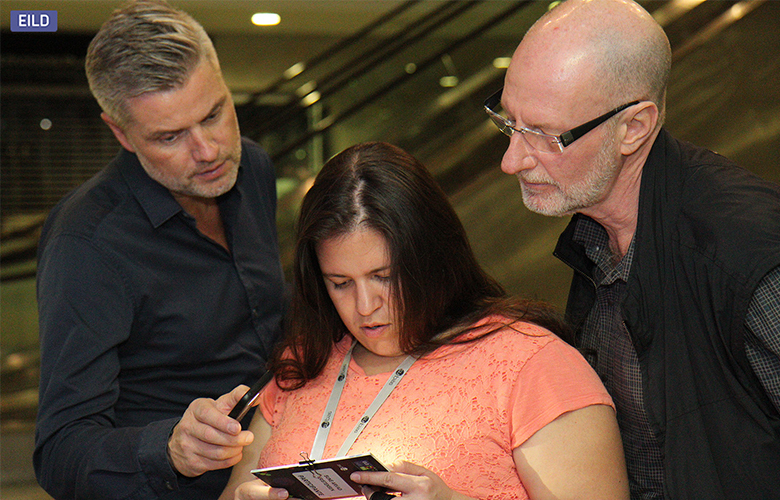 This experience provided to professionals and students the opportunity to work together with prestigious lighting designers in a process including analysis, concept, design and construction. 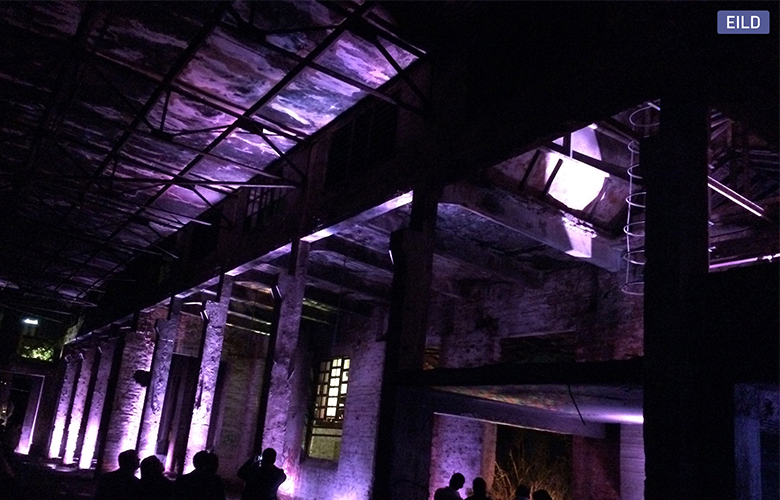 In this same space was also celebrated the EILD closing party, in a theatrical environment, under command of the lighting designer Eli Sirlin (AR). 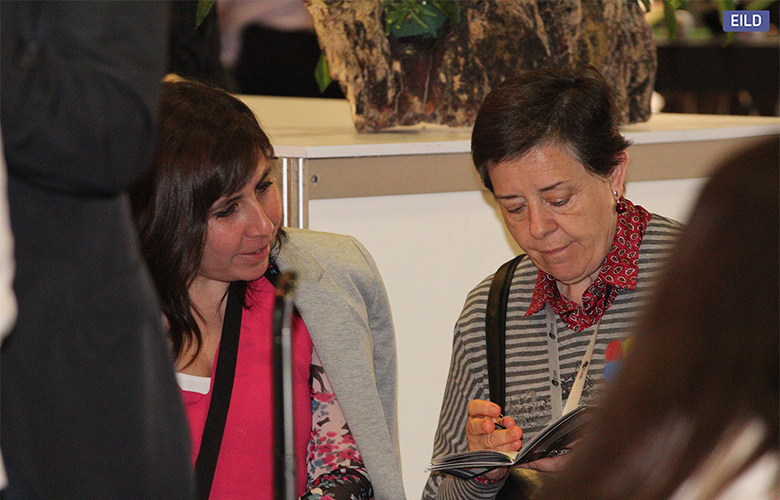 The guests had the chance to go through all the workshop installations, little by little discovering each detail and afterwards enjoying the farewell party. 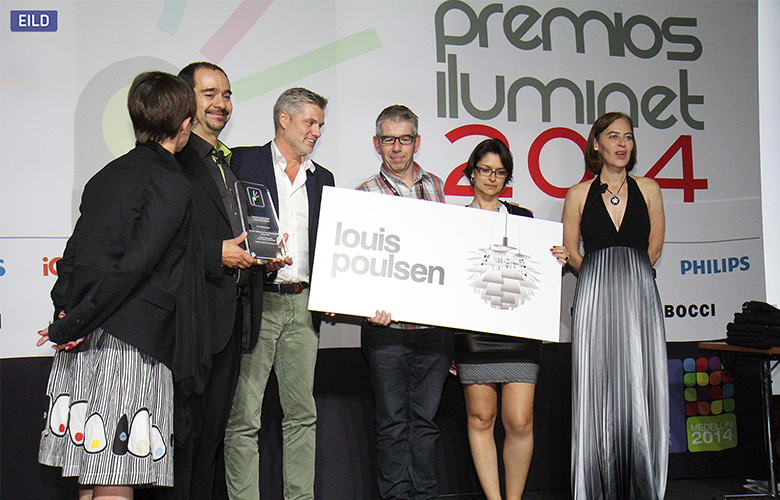 Sponsors: Flos, Iguzzini, Lamp, Targetti, Trilux, Deltalight, Lutron, Thorn/Zumtobel, Osram, Philips, GE Lighting, Schreder, Reggiani, Zemper, Daisalux, Bocci, Leds C4, Unilight, LightFair2014, Fasst Lighting, Celsa Inadisa, Tronex, luxycon, Tecno Lite, IT Iluminaciones Técnicas, Codiscos, My Electricos Ltda., High Lights, Test, Ecoluz, Save. 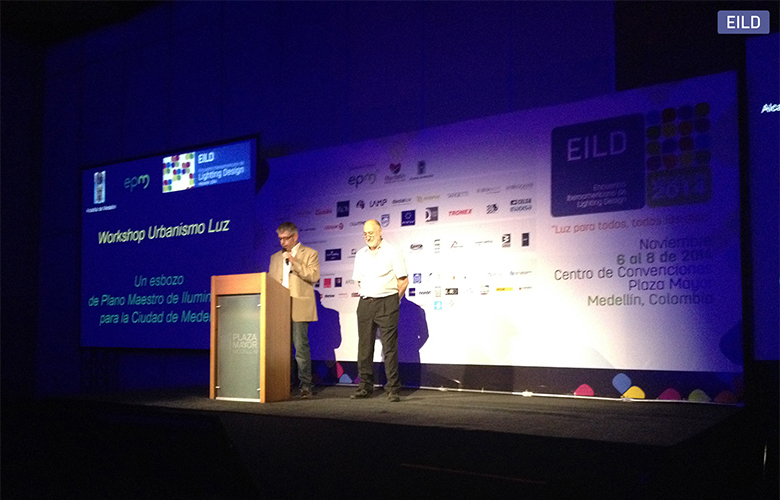 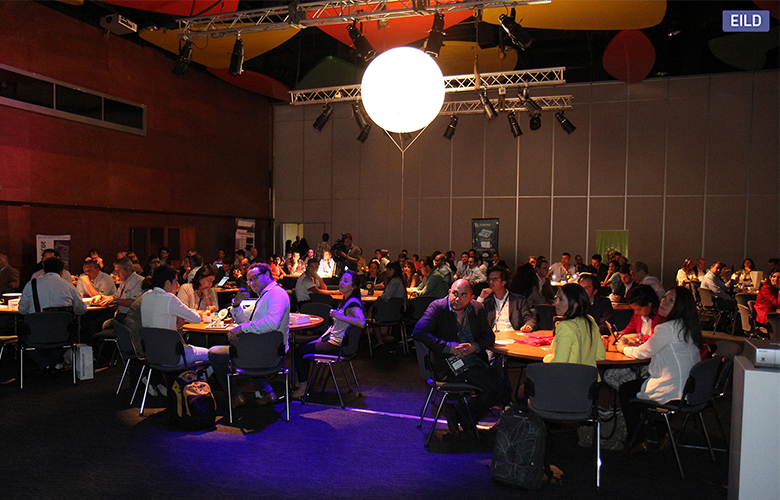 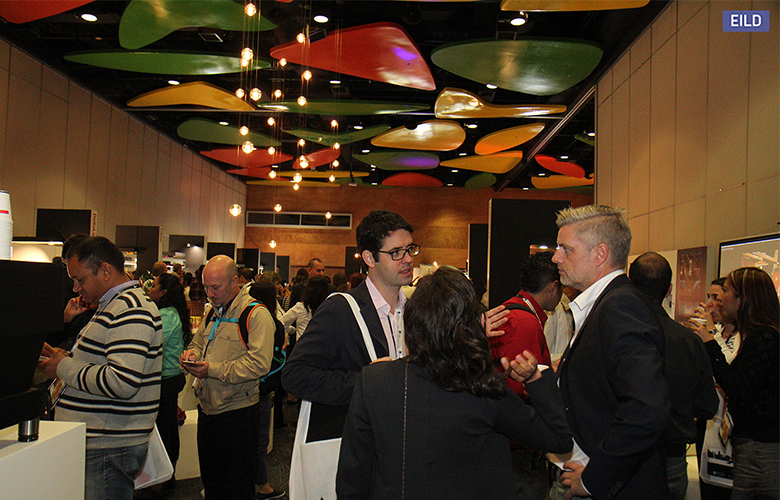 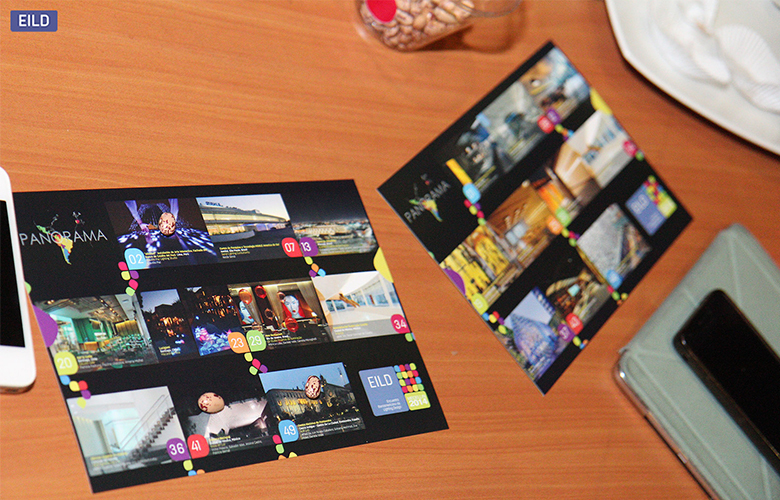 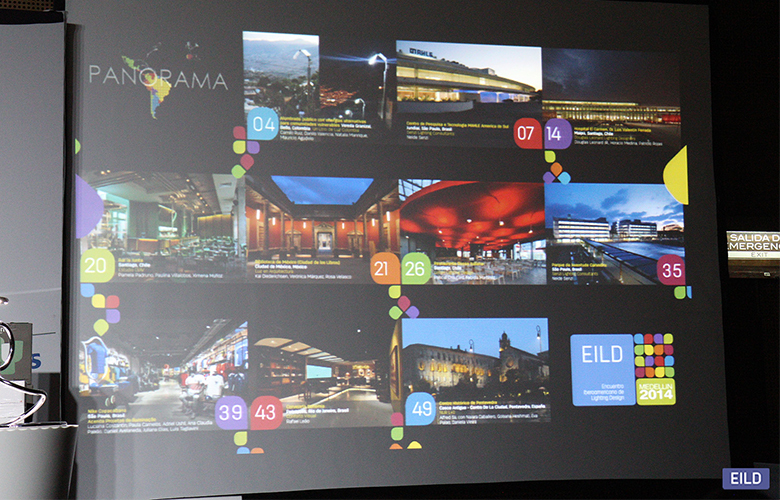 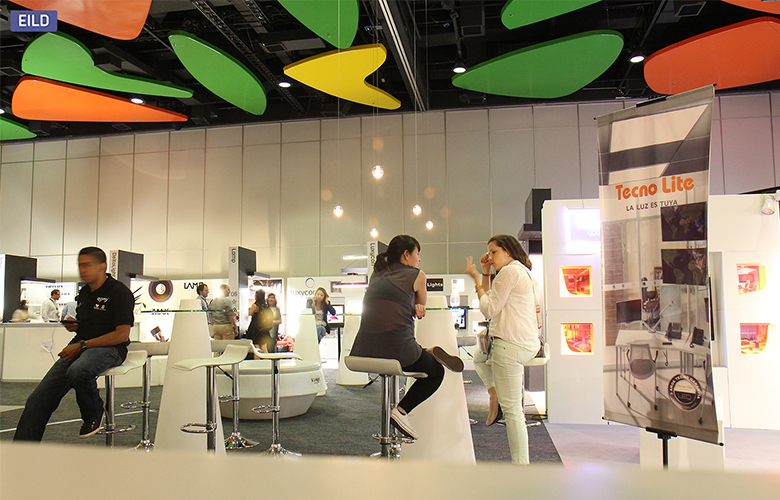 Partners: Alcaldía de Medellin, EPM, Coparte, Museo de Antioquia, Cluster Energia Eléctrica, Cluster Turismo y Negocios, Ferias y Convenciones, Hotel Poblado, Avianca, Metro de Medellín, Associacao: Asdluz, Asociación de Diseñadores de Iluminación de Colômbia. 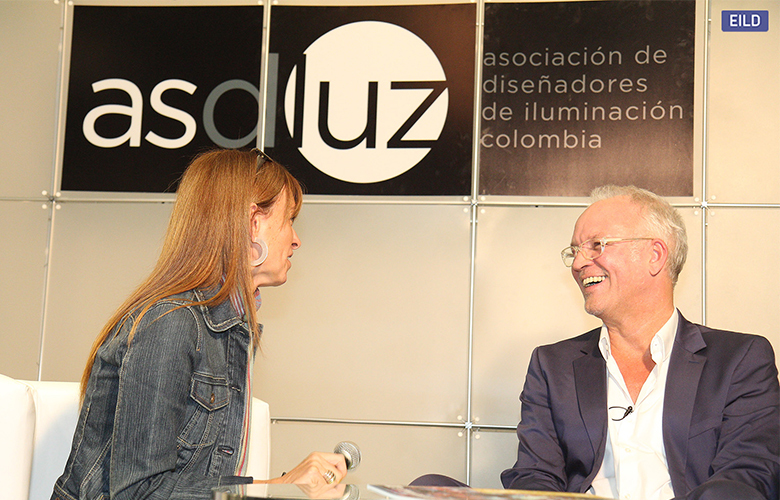 Realized by: Asdluz - Asociación de Diseñadores de Iluminación de Colômbia.